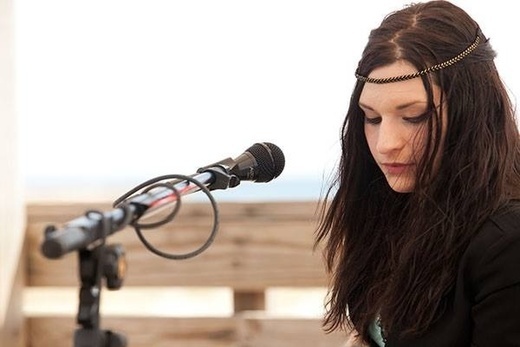 Sadie Blu is a 24 year old Singer/ Songwriter and Musician currently residing in North West Florida. Though she is shy, the songs she writes are brazenly honest and personal, making her music relatable. As a result, Sadie has gained a loyal following and has been afforded many coveted opportunities along her musical journey. artists such as Janis Joplin, Billie Holiday, Etta James, Rosemary Clooney, Bonnie Raitt, Stevie Nicks, Bob Dylan and Johnny Cash, all of whom she still cites as continual inspiration. In 2008, Sadie briefly moved to Atlanta to work with a small management company, where she played a couple of famous music venues such as, Eddie's Attic and Smith's Olde Bar, as well as the Atlanta Blues Festival. There she also had the privilege of collaborating with other talented and seasoned musicians. In the latter part of '08, she returned to Pensacola and performed an hour long televised concert comprised of her original material for the local PBS station, WSRE's "Studio Amped" concert series. She has also played live for The University of West Florida's radio station programs, The Blue Plate Special and The Acoustic Interlude. Soon after her televised concert, she developed neurological and auto-immune issues that caused her to temporarily put her music aspirations on hold. Though her health problems persist, she remains optimistic that her goals will be met. Music has always been a crucial lifeline to Sadie, and she hopes that her music will serve as the same for others.